This is a simulation of a person walking on a floating raft. 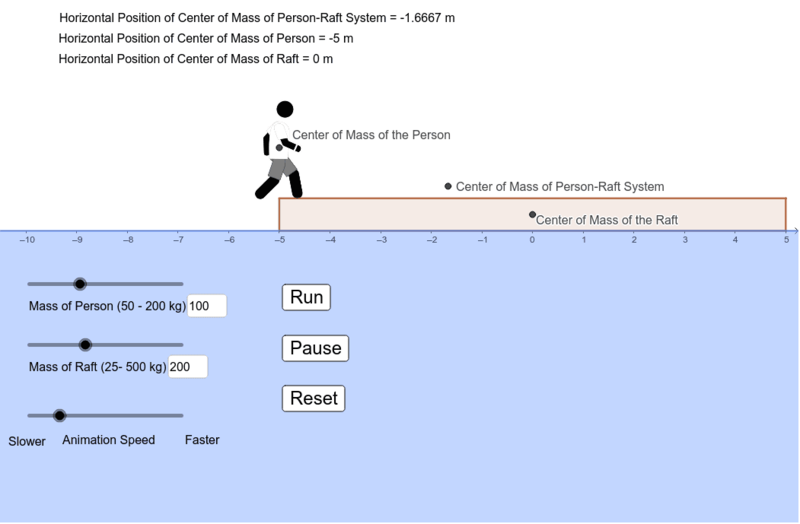 Use the sliders to adjust the mass of the raft, the mass of the person, and the animation speed. Use the buttons to start, pause, or reset the animation.